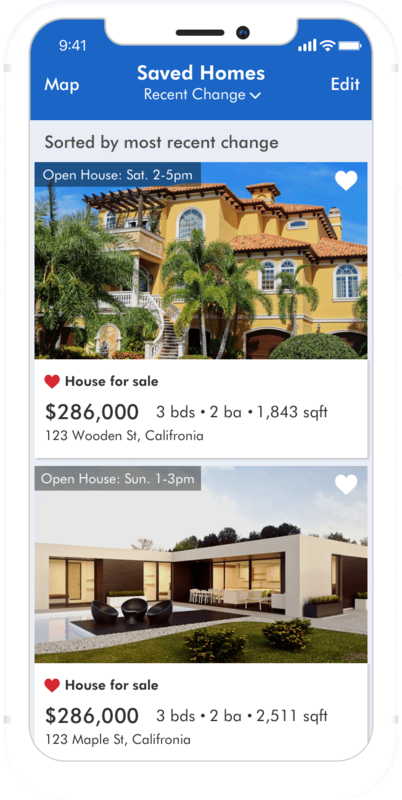 How much it will cost to develop real-estate marketplace app like Zillow? The concept of marketplaces has revolutionised the way products and services are consumed by the world population. The advent of on demand marketplace availability, has been like a Tsunami flooding over one industry sector after another. This has started a trend of aggregation in the traditionally personalised businesses like real estate listings, sale and purchase. Real estate marketplaces not only enables you to find accomodation, but also list your property for sale. Online marketplace platform connects right customer with right house. Property details that were only accessible through real estate brokers are now available at one-tap on smartphones. The market leader for real estate industry is Zillow. It is dedicated to empowering users with data, inspiration and knowledge around the place they call home, and connecting them with the best local professionals who can help. 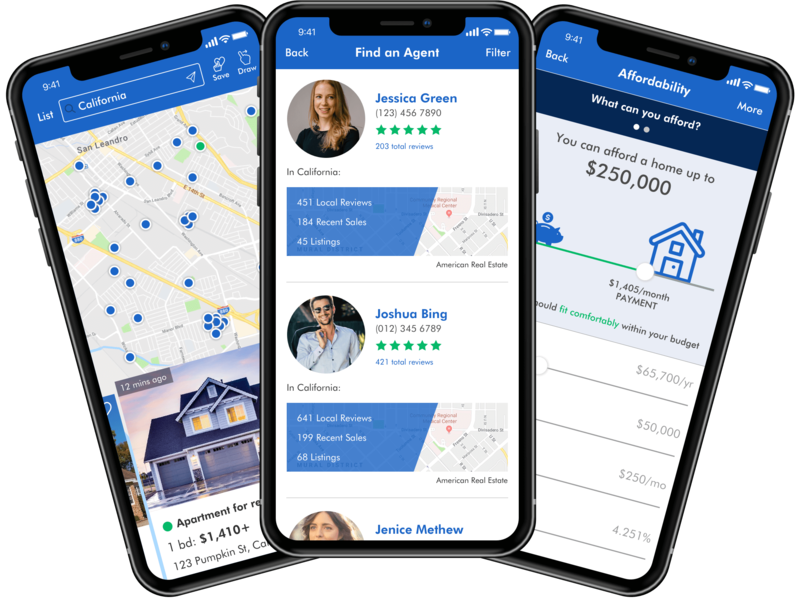 Developing application like Zillow can help people rent or sell out properties and make them meet people who are looking for accomodation. Application users can even search for accommodation using smart filters that helps define their accommodation requirement. Users can have list of rental properties based on their budget, location preference, amenities and more. And hence you can’t just let your users connect with you but also provide them real time assistance to locate the best properties for their needs. Looking to take next step towards developing your own real estate marketplace? If you are the owner of an real estate business, you already are aware about the importance of bringing innovations to your business for staying in the competition. Smartphones are making lives easier than ever before. Real estate businesses can take advantage of growing reliance on smartphones with mobile app development. It can help real estate business attract more users to buy and sell their properties. 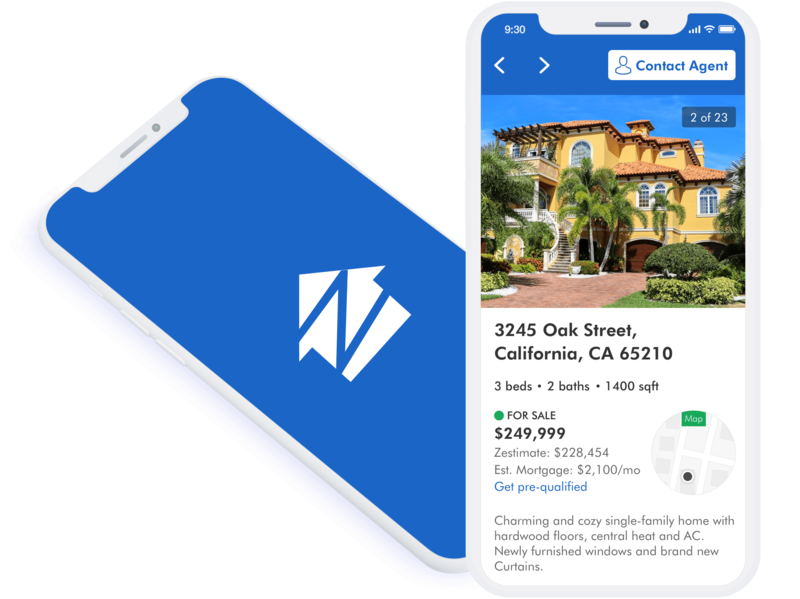 Why us for developing a real estate marketplace like Zillow? We would be happy to code real estate application like zillow for you. Do you have any experience in building real estate market applications? Is it possible to have a taxi booking feature to take the users to the properties they may have viewed and and want to visit? This is absolutely possible to integrate on demand taxi booking service feature in real estate marketplace application development by using Uber or Lyft APIs. Using this, users will also have an option to book a taxi to visit properties they have viewed. How does Chatbot development can help in Real Estate aggregator platform? We help in building AI powered/ conversational Chatbots that will enhance user experience and customer engagement. It helps in increasing ratio of inquiries to appointments. Chatbot will provide 24/7 customer support and users can ask general questions for chat support and get their queries answered instantly. How 3D tour will be integrated and work in Real Estate application development project? Leveraging our AR-VR expertise, we can accommodate 3D tour for the properties which will be listed in real estate application. When user opens the property details screen there will be a CTA called "Take a Tour". By tapping on the "Take a Tour" user can experience the 3D view and can take a virtual tour of the property. For 3D tour, collections of connected 360 images will be uploaded from admin side which can be viewed and rotated by the app user. Can you provide multilingual feature for my Real Estate App Development Project? Of course, we have experience in giving multilingual feature (RTL and LTR) based on the local and foreign languages to be implemented for website, native Android and native iOS applications. We have developed multilinguistic mobile applications for our clients in Middle East, Europe and South America who wanted to have this feature implemented for their mobile apps and websites. Can we have a chat functionality with which customers or property buyers can chat with the agents and property owners? Of course, we can implement a chat module using XMPP, a non-intrusive form of communication that allows Text and Image content. It also boosts User Engagement and Retention. So, one-to-one Chat functionality can be included in the scope so that users can chat within the app with property owners or agents. Can you provide option to hire dedicated web and mobile developers for my project of Real Estate marketplace app development? Which cloud server I would need to integrate for my Real Estate aggregator platform? And who will set it up? AWS (Amazon Web Server) or Rackspace can be used for hosting the mobile app and website. We definitely will help in setting it up in our project development. Have an !dea to develop an app like Zillow?